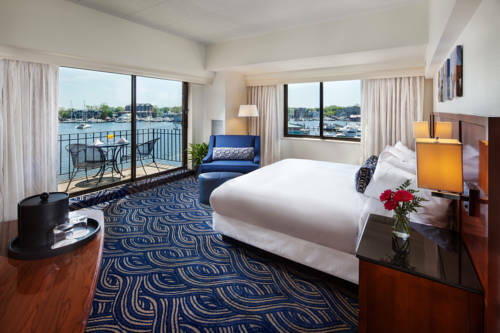 Experience the seamless combination of 18th-century splendor and distinctive modern luxury at the Annapolis Marriott Waterfront - the premier Marriott hotel in Annapolis. Marvel at picturesque views of the Chesapeake Bay and enjoy a charming welcome to this historic town from our downtown Marriott Annapolis Maryland hotel. Discover one of America's favorite colonial cities from your own private balcony. Witness a breathtaking sunset or watch a steady stream of glamorous sailboats drop anchor. Delight in state-of-the-art entertainment with Marriott's plug-and-play system and 42-inch flat panel HDTVs. Steps away from the Chesapeake Bay in the charming historic district, and just a short walk from the Naval Academy, Loews Annapolis Hotel welcomes you aboard in luxurious style! At Annapolis' ONLY 4-Diamond hotel, you'll feel your cares drift away as you sink into the ultimate pillowtop mattress or indulge in the comforts of our newly renovated premium Commodore Class accommodations. Later, dine on Eastern Shore seafood or a mouth-watering steak at Breeze, our award-winning restaurant. This 120 rooms boutique hotel, owned and operated by O'Callaghan Hotels of Ireland, is a truly unique property. All of the furnishings and fittings have been imported from Ireland to create a distinctive European flair. Each of the elegant and luxurious guestrooms features all of the modern amenities to guarantee a comfortable and memorable stay. All rooms are enhanced by a marble bathroom with bathrobes. Guests of the O'Callaghan Hotel Annapolis may also take advantage of an on site fitness room, well equipped business centre and the complimentary shuttle bus service to all local attractions. The staff at the O'Callaghan Hotel Annapolis is committed to ensuring that each guest has the most comfortable, enjoyable and memorable stay possible. 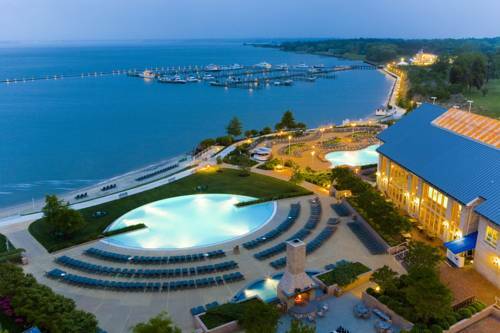 Escape to the Hyatt Regency Chesapeake Bay Golf Resort, Spa and Marina, voted amongst the best in the world by Conde' Nast Traveler Magazine. This four-diamond, four-star, 400 room luxury resort is one of a kind located on 342 acres with 2 miles of waterfront, three pools, 2 beaches, six food and beverage outlets, and an 18-hole championship golf course. A 150-slip marina which also offers sailing lessons, canoe, kayak rentals and tours, sunset dinner cruises and fishing expeditions to name a few. An 18,000 square foot European Spa acclaimed as 'one of the best in the Mid-Atlantic Region' by Southern Living Magazine. Putt-putt golf, children's recreation center, 18-acre Blue Heron Rookery and Pet friendly. Come create memories you will cherish forever. Charming historic Spa/B B with loads of history-each room or suite is tastefully appointed in its own unique decor with numerous room- suite and apartment configurations to accommodate visitors looking for a romantic getaway or a relaxing spa retreat. This property is located 3 mi E of Newark Delaware. 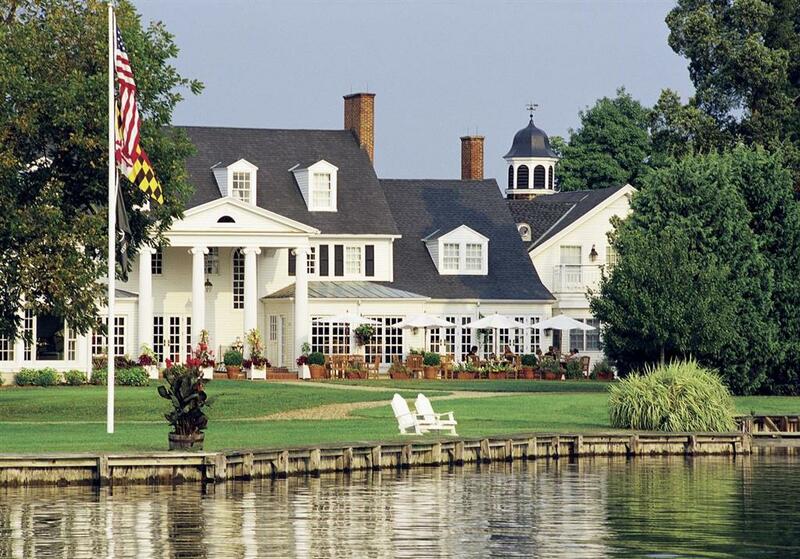 Belmond Inn at Perry Cabin is ideally located in the quaint Victorian town of St. Michaels on Maryland's scenic Eastern Shore, just off Chesapeake Bay. Offering 80 guestrooms and suites, each individually decorated with English and American antiques. Each room features plush bathrobes, hair dryer, color cable TV, iron and Ironing board and alarm clock. Spacious bathrooms feature Italian marble tile, Frette linens and a generous supply of Molton Brown amenities. Rooms on the main floor and most on the second floor offer French doors that lead onto a deck, patio or verandah. Many of the accommodations also feature fireplaces and separate living areas. Lowes Wharf Marina Inn is a waterfront guest destination with numerous amenities to please everyone! Located on the Eastern Shore of the Chesapeake Bay between St. Michaels and Tilghman Island. Come join us in our island like setting and watch our spectacular sunsets. We offer waterfront guest rooms, restaurant, marina, charter fishing, sea duck hunting, sunset cruises, crabbing, kayaking, bicycling, fitness room or just sitting back on our private beach watching the sunset. St. Michaels is only 7 miles away, and offers many shopping adventures, historic sites, a maritime museum and features casual to fine dining. Tilghman Island is only 4 miles away, a quaint waterman's village that also offers family style dining and fine dining experiences.